[Via Satellite 06-30-2014] Among the 30-plus small satellites carried into orbit by the most recent Kosmotras Dnepr launch was BugSat 1, the third prototype satellite for startup company Satellogic. Emiliano Kargieman, founder and CEO of Satellogic and co-founder of Core Security, is actively planning the build-out of a constellation of hundreds of Earth imaging satellites. Satellogic joins a growing list of entrepreneurial satellite companies such as Planet Labs, Dauria Aerospace and Skybox Imaging — which is being purchased by Google — that are planning extensive Earth imaging constellations. In 2013 Satellogic launched its first two prototype spacecraft, CubeBug 1 and CubeBug 2. Kargieman said the latest satellite, known as BugSat 1 or “Tita,” will validate the company’s work to both the market and investors. “We’ve been implementing this incremental development approach toward building our satellite constellation. So, in the first two satellites we tested out part of the components that will be part of the final configuration. 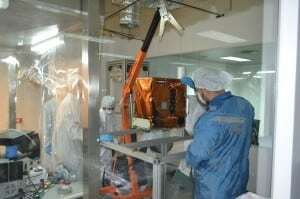 In this third satellite, this is the first prototype that is feature-complete, where we can test end-to-end not only the whole satellite platform, but also the payload,” he said. The final satellites are planned to provide high-resolution imagery as well as video on a real-time basis. Satellogic began working with customers on co-developing applications for the service constellation, which it plans to start launching next year. Kargieman said part of the company’s plan to keep costs down while achieving the scale of hundreds of satellites is through keeping the satellite manufacturing process in-house. “We are definitely using a lot of different tricks to focus on bringing the costs down so we can scale up. To start with, we are building the satellites based on commercial electronics and off the shelf components a lot of the time. 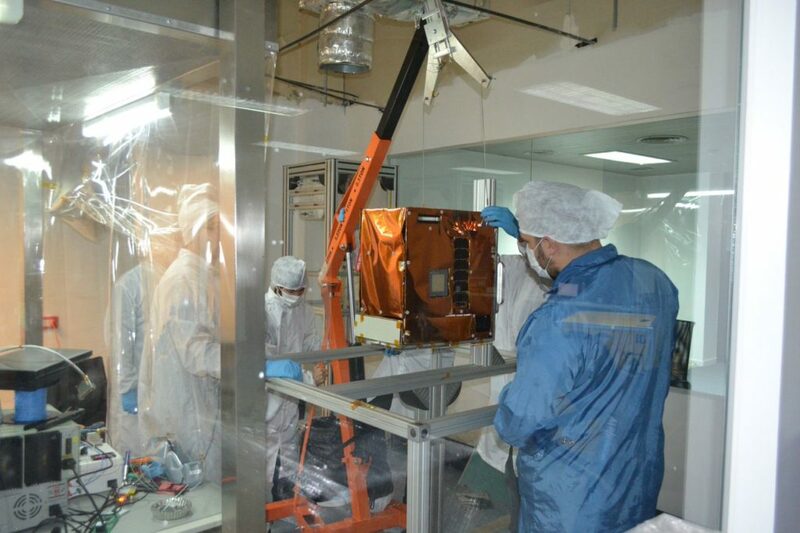 Part of the trick is resorting to smarter software that we can run in the satellite because we have lots more computing power than traditional satellites have, and that allows us to relax a little on the requirements for the hardware,” he said. The initial service constellation plans for 10 to 15 satellites in orbit and operating by the end of next year. A critical feature of these satellites is a mesh topology where each satellite will stay in constant communication with other members of the constellation. This allows the spacecraft to share the workload and regularly beam down images. Otherwise the rapid Low Earth Orbits (LEO) would limit contact with ground stations, shortcutting the goal of providing a near-constant stream of data. “We think the ability to be able to monitor the Earth in real-time, to be able to quantify processes that are going on [a] day-to-day or minute-to-minute basis will give us an unprecedented ability to manage the resources that we have available in a much better way … and feedback we’ve been getting from customers we engage is consistent with that,” he said. According to Kargieman, the latest prototype satellite will reach less than 2-meter resolution. Over time this resolution will increase based on customer input. He added that Satellogic is already working with customers across several different verticals. Common interests are monitoring the production and distribution of food, energy and natural resources. Satellogic expects data collected on these activities from space to become increasingly more valuable over the next 15 to 20 years.